brulee and caramel nose, brown sugar on the palate. What an incredibly well balanced whisky. Eminently drinkable. Nose: sweet, apples, oak, caramel, croissant, pear peel, sweet fruits, green pears, honey, dried apricots, raisin and light berries notes. Taste: apples, fruits, dryness, pears, light tannins, spices, oak, pears peel, dried fruits. Finish: spices, apples, dryness, sweet fruits and pears peel. 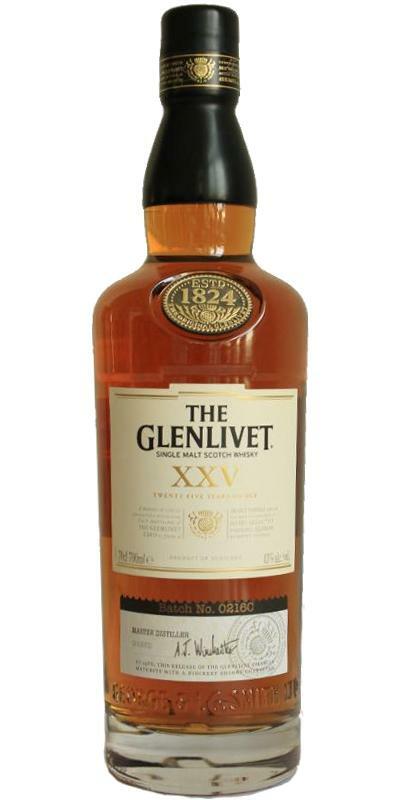 The Glenlivet XXV is a very good balanced and tasty whisky. In spite of long maturation time the oaks notes are light and delicate. This whisky opens during tasting time. In the mouth, it is grassy!, Then fruity tangerine candied, wood not very "old", fine malt and vanilla. In the final, a little chocolate, the woody stronger and the fruits more red! a late show dram, not tasted as it should? , with a final too short! My first thought when smelling is: where is the sherry? This is accompanied by a spontaneous disappointment, but on the desperate search for the missing, I discover a lot of other notes and the more I get involved in it, the more I like what I find. After missing the sherry in my nose, it does not surprise me to find it in my mouth, but it immediately raises another question: where are the 25 years? Everything is so soft and tame, barely spice or bitterness shows. Only when leaving the whisky looks older. Nevertheless, the whisky seems ripe and filled to the point. This Glenlivet leaves me a bit helpless. Is the sample really what it says on the sample? I expected a completely different whisky. 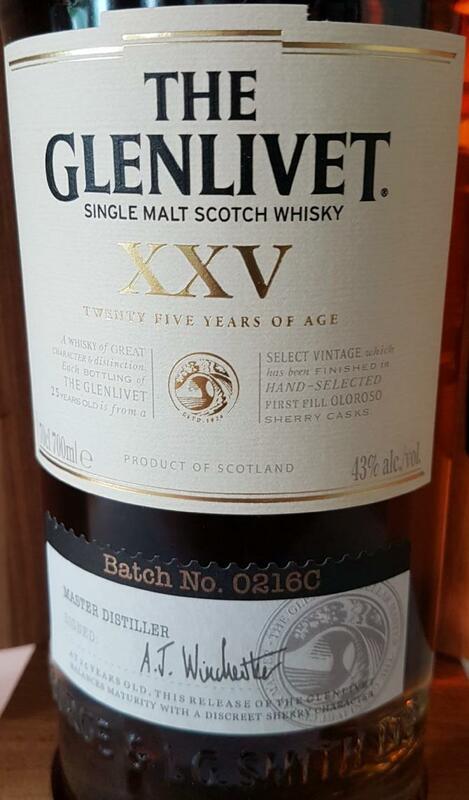 A few years ago I had a XXV, which was much sherrylastiger. 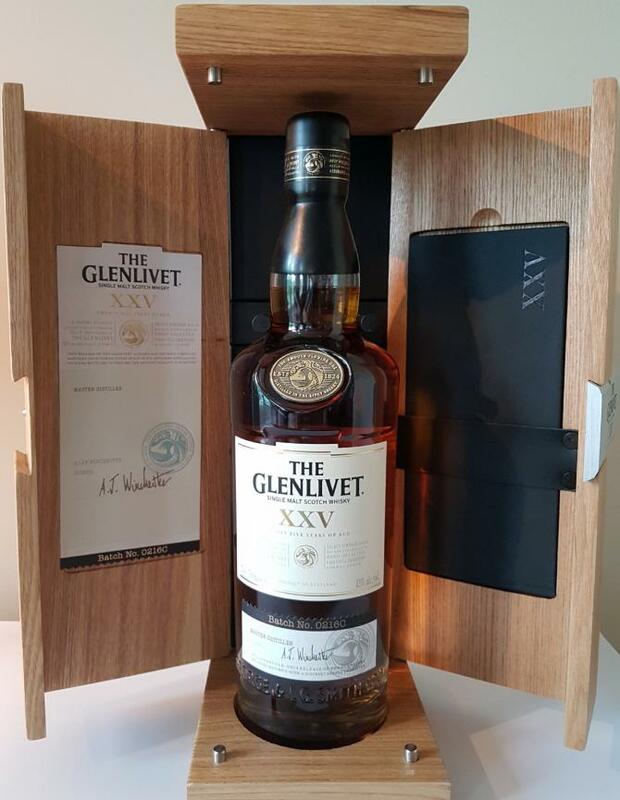 But anyway, the whisky tastes great and it is well done, but since I expected something different and it does not fulfill its paper form, I have to devalue it. When tasting again, I was able to perceive the sherry a little clearer, maybe it was my form of the day. It goes up to 88 on one point.